Add more joy to your friend’s wedding with a sweet gift. Buying some gifts is OK, but customizing some wedding congratulation cards by yourself will be much sweeter. 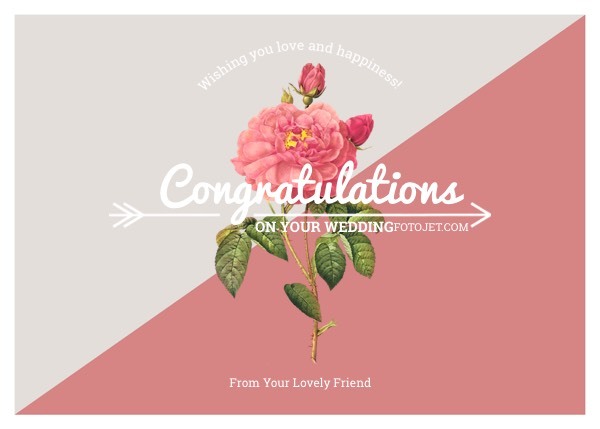 This congratulations card template consists of beautiful rose image, special background color and stylish congratulation text, which will help you to create incredible wedding greeting cards. Show your sincere wishes with the harmonious combination with font styles and clipart images. Afterwards, you can print this design out or send it directly via email.